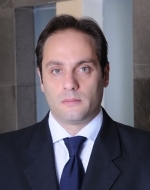 Ziad El-Khoury is the founder and Managing Partner of El-Khoury & Partners Legal Counsel with offices in Beirut and Riyadh and runs its operations in the MENA region. He also acts as Of Counsel to the International law firm of Squire, Sanders where he is administratively based in London. He has a wide range of experience in corporate, financial, securities, real estate and telecommunications matters with particular emphasis on banking, corporate/corporate finance, international business and real estate. Mr. El-Khoury has a solid expertise in a wide variety of industries encompassing telecommunications, real estate, hospitality and banking sectors. He has also handled matters involving privatization, bankruptcy, litigation and alternative dispute resolution. He has worked on behalf of numerous European, American and Middle Eastern clients in Saudi Arabia, Lebanon, the UAE, Qatar, Syria, Jordan, Kuwait and throughout the Middle East region. Mr. El-Khoury spends his time between Beirut, Riyadh and London serving in-bound and out-bound clients in the MENA region. Ziad El-Khoury was appointed by Decree Law of the Lebanese Council of Ministers (#7392/2002) as a board member of the National Archives Center, a public service supervised by the Lebanese Prime Ministry, where he provides legal and administrative advice. Ziad El-Khoury holds a J.D. in Lebanese and French law from Saint Joseph University in Beirut and a L.L.B from La Sagesse University (Beirut, Lebanon). He successfully pursued an L.L.M in International Business Law at the the American University – Washington College of Law.